Welcome to Model United Nations! For the rest of the semester, we will explore how nations influence and interact with one another into interconnected global community. We will discuss the challenges countries face when often the need to cooperate with other countries comes into conflict with each country's unique national interest. Before we learn the rules and procedures of the United Nations, we first must explore the countries we will represent. In this assignment you will research your country in order to best represent your country's interests at the United Nations. For each of our countries, we will complete the Country Fact Folder, which will be used during the Model United Nations conference held in June. Click the file below to download the form. Once you are finished, upload the completed form to your teacher in the box below. Now that you have finished your country's fact folder, it's time to show us what you've learned about your country. 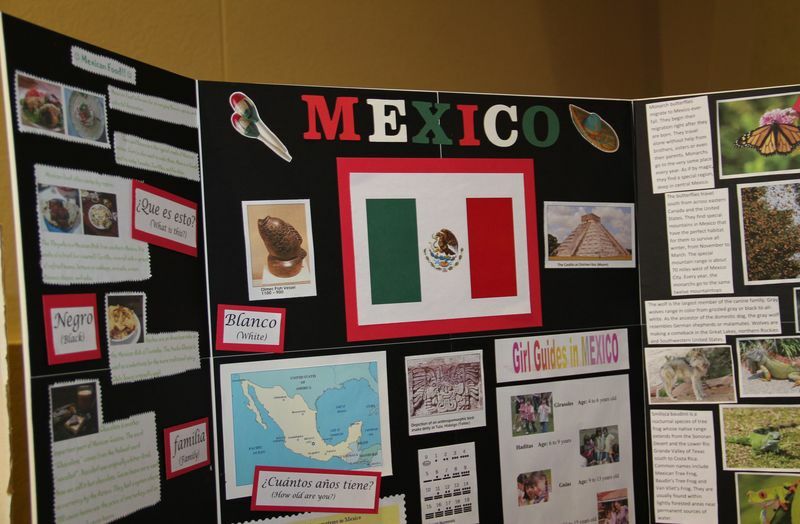 On May 8th, we will have a school-wide world expo celebrating all the unique and diverse cultures of the world. 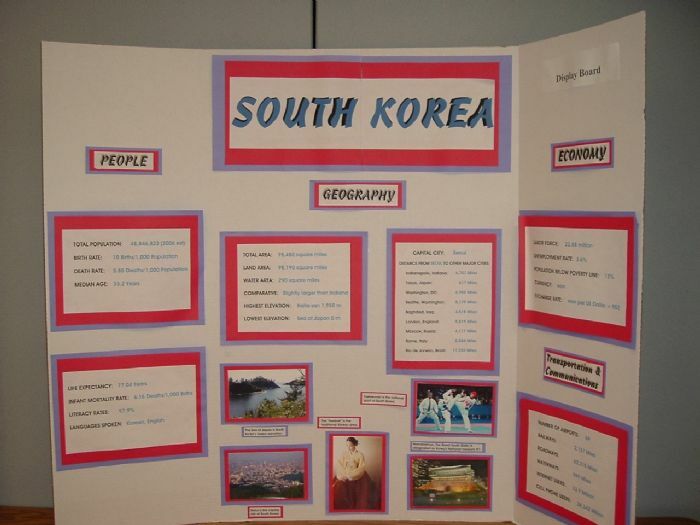 On a tri-fold poster, you will design and decorate a display for your country. A colored and labeled map of the country (it can be an electronic image). 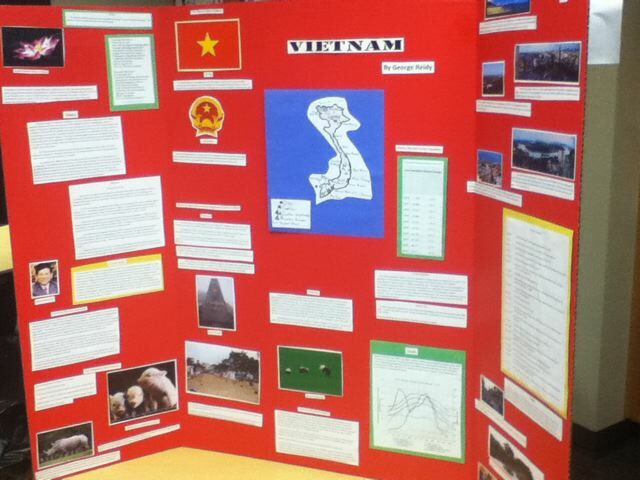 Below the map there must be a colored drawing/picture/image of the country’s flag. Tell us what the colors and/or design represent. How to say "Hello", "Goodbye", "Please", "Thank You"
Use the examples below to guide you in your design. NOTE: These posters do not follow the rules given above. The World Expo will be held on May 7. 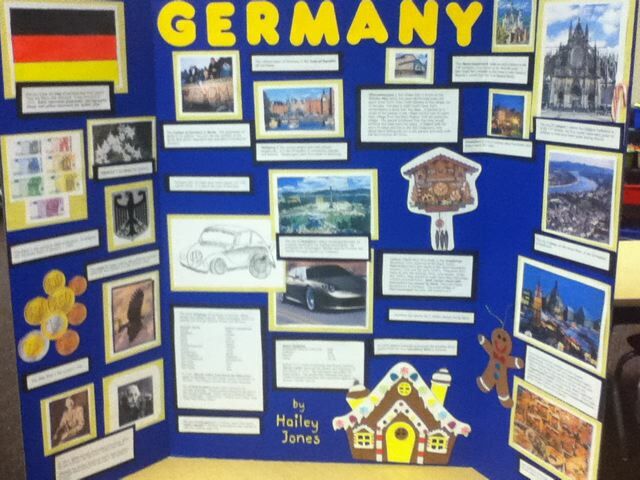 You will stand in front of your display and greet visitors to your country. What are people in your country called? What religion are most people in your country? What is the name of the money you use (Ex: Dollars, RMB)? What is one problem your country faces? 2. You should be able to say "Hello", "Goodbye", and "Welcome to my country" (Ex: "Türkiye'ye Hoşgeldiniz"; Welcome to Turkey). You can use Google Translate to help you. 3. Finally, You should bring a dish from your country for visitors to taste. You can either buy it or make it yourself. (Extra Points if it tastes good).